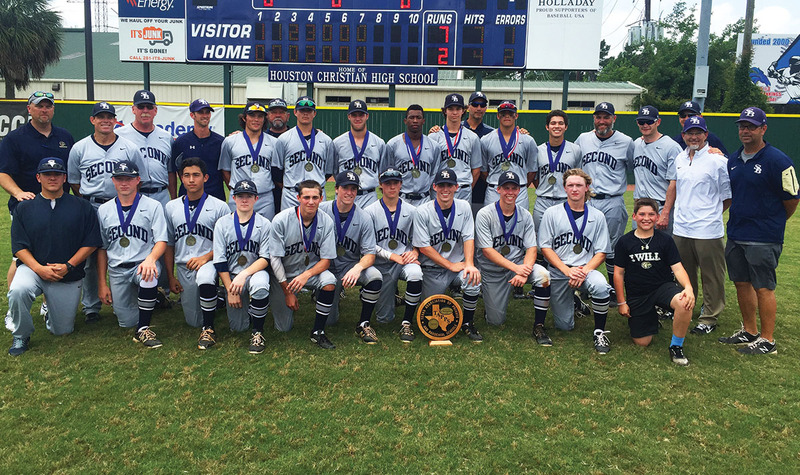 The Second Baptist Eagles captured the fourth state baseball championship in school history. The Eagles’ star-studded coaching staff including first-year head coach Lance Berkman and pitching coach Andy Pettitte. From World Series champions to state champions. It’s not exactly your typical path to baseball glory. But that’s the route taken this past season by Second Baptist High School head baseball coach Lance Berkman and pitching coach Andy Pettitte. Second Baptist won the TAPPS 4A state baseball championship with a 7-2 victory over Midland Christian in the final. As for Pettitte, whose son Jared was a standout pitcher and first baseman for the Eagles, winning a state championship alongside his former Houston Astros teammate and longtime friend was especially gratifying. “I was sitting next to Lance scouting Midland Christian and saying to him, ‘Can you believe we’re sitting out here in the burning sun and scouting high school baseball?’ But you know what, you still have that nervous feeling in your stomach. It really doesn’t matter if it’s the World Series or the state tournament at the high school level. I think if you’re a competitor and you care about what you’re doing, you’re going to put in the hard work. 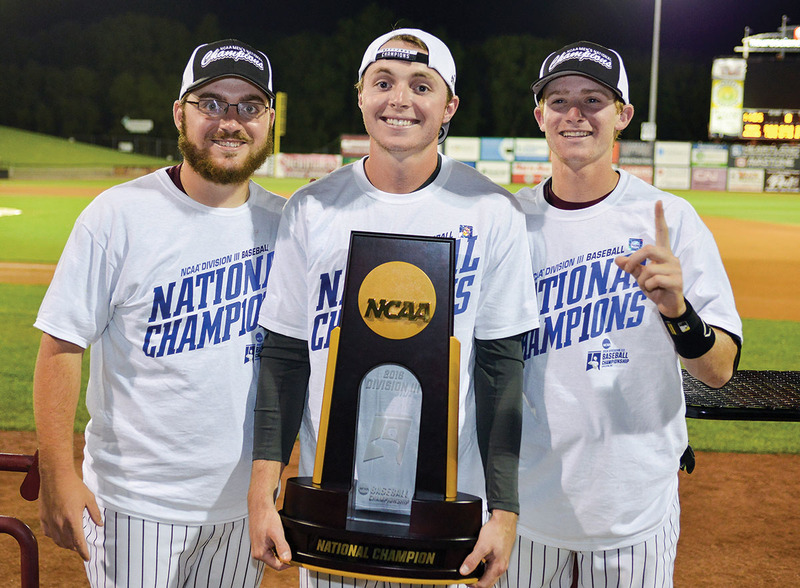 In college baseball, a trio of local products won an NCAA Division III national championship with Trinity University. Lamar’s Andrew Waters and Andrew Hoffman, along with ex-Bellaire Cardinal Zach Oretsky, celebrated Trinity’s first-ever national title. Waters, a 2012 Lamar graduate, capped off his collegiate career with a spectacular season in which he hit for a .420 batting average with 17 doubles, five triples and eight homers. Trailing 9-7, the Mavericks rallied to tie the game on goals from game MVP Lindsey McKone and then Audrey Ledbetter with just over one minute to play. In overtime, Kara Wollmers found senior Jennifer Trieschman for the game-winning goal. Coupled with their earlier SPC title, the Mavericks have won an Southwest Preparatory Conference and/or TGHSLL state title 13 straight seasons. The Episcopal girls golf team brought home the first SPC girls golf championship in school history: (from left) Caroline Murphy, Margaret Runnels, Anna Giesler, Lex Tsiropoulouis, EHS athletic director Jason Grove, Hunter Reinertsen-Fourhand, Mary Helen Kennedy, Miranda Greewalt and golf coach Meghan Moake. 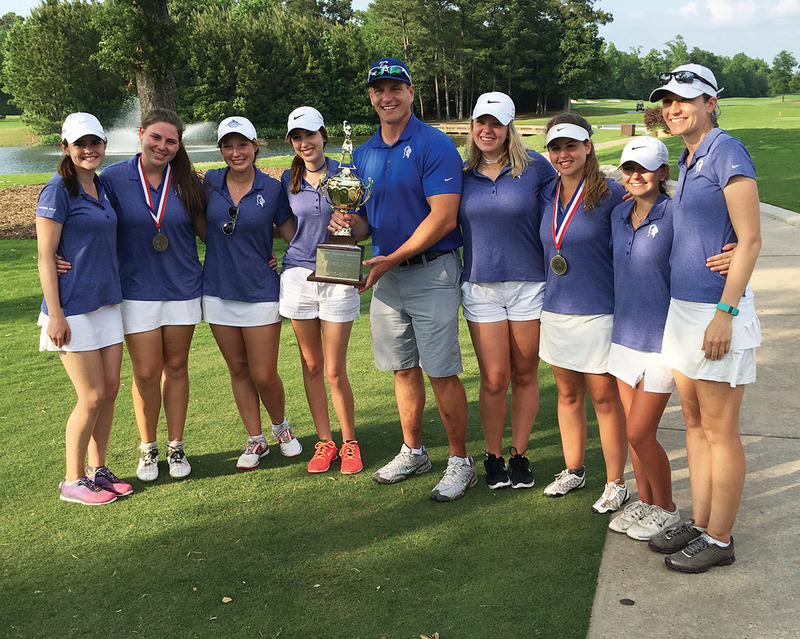 On the topic of SPC championships, the Episcopal girls golf team made school history by winning its first-ever SPC title, doing so by a lofty 34-stroke margin. Sophomore Margaret Runnels led the way with an impressive two-day total of 156 to finish second individually, with teammate Mary Helen Kennedy finishing fourth overall. Caroline Murphy, Anna Giesler and Miranda Greenwalt were also big contributors for the Knights.